Conventional wisdom is not always wisdom. The conventional wisdom of organizational behaviour is that it takes 3 or more years to change corporate culture, mainly because culture is often heavily engrained into the systems, behaviours, work habits, values and beliefs of an organization. Shifting all of this takes time, huge effort on the part of leadership, and, when consultants get involved, big pots of money! Supporting this 3-5 year culture change timeframe is the fact that the majority of culture change efforts fail to deliver on their intended results. In fact, recent studies have shown that strategy execution and business restructuring are more successful change activities than culture change. Culture change is hard. 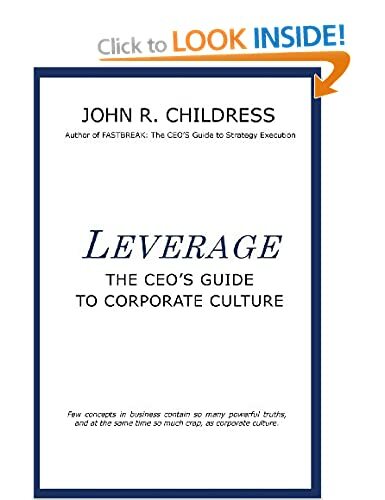 My recent studies of the literature on corporate culture, combined with 30+ years of hands-on change management (see LEVERAGE: The CEO’s Guide to Corporate Culture) has given me an insight into culture change that shows how some companies, given the proper leadership and approach, can create culture change in a relatively short time frame. For example, Continental Airlines, under the leadership of Gordon Bethune and Greg Brenneman, led a dramatic and highly sustainable culture change in just one year, 1994-1995. 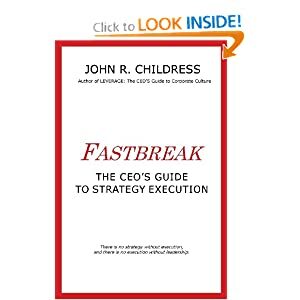 Much of the turnaround and culture change actions are documented in a fantastic book, From Worst to First. But why was Continental able to create such a dramatic and sustainable culture change in such a short time? I believe a great deal of the answer lies in “customer service cycle-times”! Customer service cycle-time is the average time it takes to conclude a service transaction between the company and a customer. In the airline business, as in retail and other FMCG organizations, the customer service cycle-time is short, somewhere between several hours and a few days. Thus the service experience the customer has with the corporate culture can rapidly shift as customers, such as frequent fliers and retail or on-line shoppers, interact with the organization multiple times during a given year. In these short “experience cycles”, if the effort is made to reshape the culture and improve service, the customer experiences a positive change quickly and repeatedly, and then remembers the positive experience, which is reinforced again and again in short cycles. The shorter the customer experience cycle, and the greater the number of new positive interactions, the quicker the customer perception of the culture, and the culture itself, will shift. And an increasing number of positive customer experiences leads to greater brand loyalty, more word of mouth advertising and “friends telling friends” about the change and the great service. In contrast, those industries with long customer experience cycles, such as aerospace, defense, mining, pharmaceuticals, etc.. where the interaction takes place over much longer periods of time, make it difficult for culture change and feedback to take place. It is here that much work and effort must be focused to really shift the culture and the customer experience. Understanding the amount of work required for successful culture change will help the CEO and leadership prepare properly, make the required commitments, and better stay the course. Many culture changes fail because leadership “gives up” too soon, expecting instant results when that may not be the way their industry responds to change. This entry was posted in consulting, corporate culture, John R Childress, leadership, Organization Behavior, strategy execution and tagged change management, Continental Airlines, Corporate Culture, culture change, Fastbreak, Leverage, rate of change, strategy change, success of culture change, transformation. Bookmark the permalink.